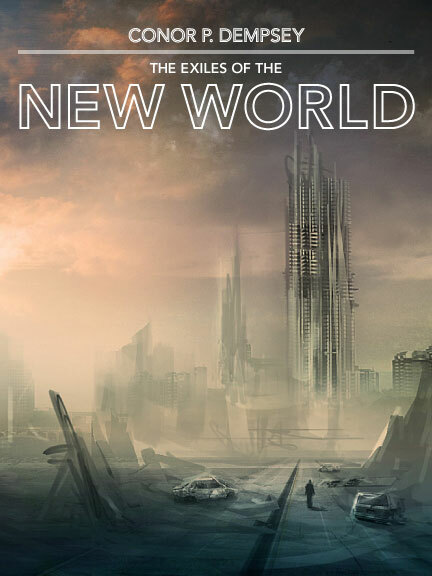 The Exiles of the New World is a science fiction novel set fifteen years in the future. It is about the end of our world and the beginning of a completely new one. It was released in 2012. On a seemingly quiet summer day, a mysterious pathogen is released upon a remote observatory in New Mexico, killing the sole technician on duty. A recovery team later finds the technician’s body with a note containing the last set of spatial coordinates the observatory’s telescope was pointed at, which the technician believes has triggered the end of days. The next morning, disgraced physics professor Theodore Kim finds himself on a spacecraft orbiting Saturn. With no recollection of how he got there, he tries to piece together his recruitment as part of an unwilling crew along with his longtime girlfriend, a retired physician, a Russian aviator, a convict and a stay-at-home mother. Without any explanation, the experimental craft known as the Moirae departs the galaxy for an unknown destination. Back on Earth, Douglas Silva, a man with no memories, discovers a landscape punctuated by death and abandonment. With no knowledge of the earth’s demise, he is haunted by a single vision. A dream. A dream of a man falling from the sky. A dream that, unbeknownst to him, belongs to Theodore Kim. As Silva moves deeper into the wasteland and the Moirae drifts farther away from the galaxy, the questions begin to mount. What has happened to the earth? Why has the Moirae been cast off into space? Are they the last ark of humanity, sent to colonize some distant planet? Or have they been sent on a fool’s errand to search out God in the depths of space, as some of the crew believe? If so, why did they send Kim, a boozing agnostic, to do the talking? * I just recently got the rights to the book back, which is great, but have pulled the book down for a bit. It will be republished at some point.